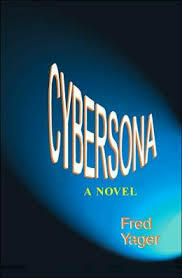 In an extreme case of identity theft, a computer genius who has recently become a quadriplegic when caught in the crossfire of a gang shootout uses an Internet game called “Cybersona” to take over the body of another player, a recently-fired science teacher, to get revenge on those responsible for his paralysis. In an effort to get his body back, the teacher takes over the body of the next player who signs on; that player turns out to be a ten-year-old boy. Fred Yager is a communications and public relations executive, journalist, and author of nine books.